In Greek mythology the Underworld was the domain of the Greek god Hades, and the realm, as well as the concept of the Afterlife, would often appear in stories, acting as a guide to how people should live their lives. Hades is the Greek deity most closely associated with the Underworld, although the Greek Underworld existed before the rise of the Olympian gods. Hades would become linked with the Underworld after the Titanomachy, when the sons of Cronus rose up against their father, and the other Titans. ​Zeus, Poseidon and Hades would then draw lots to divide the cosmos up, and whilst Zeus was given heaven and earth, and Poseidon the world’s waters, Hades was given dominion over the Underworld and the Afterlife. The importance and power of Hades was recognised by the fact that the Underworld was often referred to as Hades. 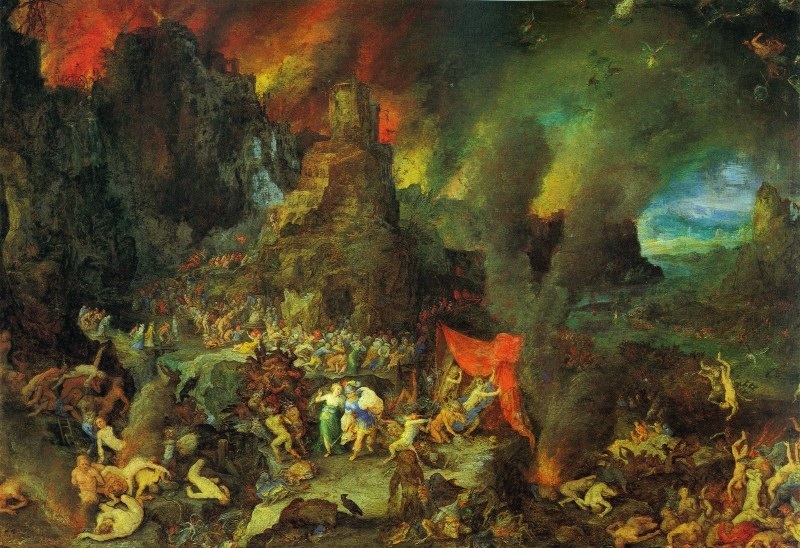 It is common to think of the Greek Underworld as simply a version of the Christian Hell, and indeed, the term Hades, has historically been used as a polite synonym for hell. ​The Greek Underworld encompassed the whole Afterlife, contain both heaven and hell, where the righteous could be lavished upon, and the unworthy punished. In Greek mythology, the common belief was the no-one who entered the Underworld would ever leave it, and so, in theory, there was no way for ancient writers to accurately describe. That being said some features were mentioned in the ancient sources. The general consensus was that the Underworld, unsurprisingly, was to be found beneath the surface of the earth; although an alternate view had it at the very end of the earth. If the domain of Hades was to be found underground, then many entrances to the Underworld were named in ancient sources. A cleft in the ground on Sicily was used by Hades, Orpheus and Heracles both made use of a cave at Taenarum, Aeneas made use of a cave upon Lake Avernus, Odysseus entered via Lake Acheron, and the Lernaean Hydra guarded another watery entrance. The perilous journey of Theseus to Athens around the Saronic Gulf also saw the Greek hero pass 6 other known entrances to the Underworld. Generally speaking, the Greek Underworld can be thought of as being made up of three different regions; Tartarus, the Asphodel Meadows and Elysium. Tartarus was thought to be the deepest region of the Underworld, and a place where it would take an anvil nine days to reach if allowed to fall from the rest of the Underworld. Tartarus is the region of the Underworld normally associated with hell, and was the area where punishment and imprisonment was undertaken; as such it was the normal location of the imprisoned Titans, Tantalus, Ixion and Sisyphus. The Asphodel Meadows was the region of the Underworld where the majority of the deceased would end up, for it was the region of indifference, where those who had lived neither an overly good nor an overly bad life would end up. Having drunk from the River Lethe the deceased located here would forget their previous lives, but would spend eternity in a greyness of mindlessness. Elysium, or the Elysian Fields, was the region of the Underworld where mortals were supposed to aspire to. Elysium was the home of the heroic, and the region of the Underworld most closely associated with paradise. Inhabitants of Elysium would spend eternity of pleasure free from work and strife. Ancient geographers would also talk of five rivers that traversed through the Underworld. These rivers were the River Styx, the river of hatred, the River Lethe, the river of forgetfulness, the River Phlegethon, the river of fire, the River Cocytus, the river of wailing, and the River Acheron, the river of pain. 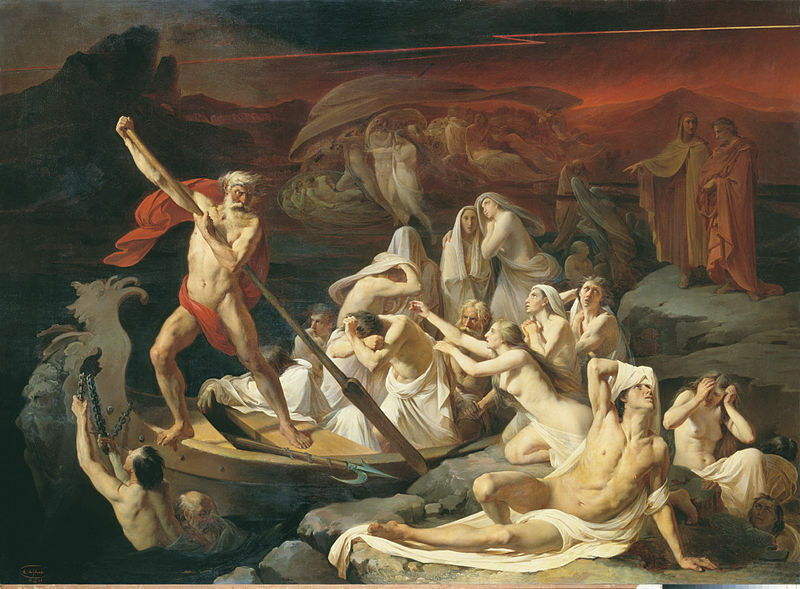 The Acheron was the first river encountered by the deceased when the Underworld was entered, and the river across which Charon would ferry those that could afford to pay. The Greek Underworld was of course not simply home to Hades and the deceased, and it was a place inhabited by a range of deities, spirits, demi-gods and creatures. Hades would be joined in the Underworld for half the year by his bride, Persephone, the daughter of Zeus who he had abducted. Three kings, Minos, Aeacus, and Rhadamanthys, would also reside in the Underworld, for they were the judges of the dead. A range of Greek gods and goddesses also resided in the Underworld, including, Hecate, goddess of magic, Erebus, god of darkness, Nyx, goddess of the night, Thanatos, god of death, and Hypnos, god of sleep. Also found in the Underworld were the Erinyes (the Furies), Charon, the ferryman, and Cerberus, the three headed guard dog of Hades. As previously mentioned, the belief in Ancient Greece was that no-one who entered the Underworld would ever leave it, but there were many stories of people doing just that. 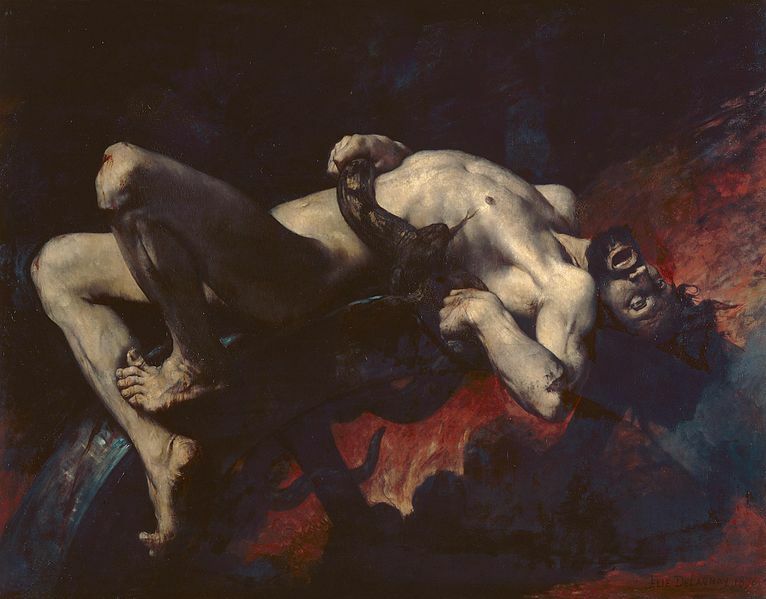 Heracles would enter the realm of Hades and briefly remove Cerberus for one of his Labours; Orpheus would enter as he tried to bring back his deceased wife, Eurydice; Odysseus entered to gain directions home; Aeneas visits to see his deceased father; and Psyche was looking for Eros. Theseus and Pirithous would also enter the Underworld together, but their quest was an unworthy one, for Pirithous wished to take Persephone as his bride. As a result, Theseus and Pirithous were imprisoned by Hades, although Theseus would eventually be released by Heracles.